We believe travel must be sustainable – a tall order when consuming diesel in a motorhome. To offset our fuel emissions, we’ve partnered with Greenamity to plant trees on our behalf. When Alison and I discussed making our dream of full-time travel a reality, one of our priorities was to travel sustainably. Not only did we want to travel as long as possible, we also wanted to minimize our impact on the environment. In fact, these two definitions are not really at odds: protecting the environment means we have longer to discover and enjoy it! It’s really in our own (and the planet’s) best interest to be as sustainable as possible. Before we started shopping for motorhomes, we discussed what features we required and the ones that would be nice-to-have. We looked at what we would consume during our motorhome adventure — food, water, electricity, LPG, and diesel. We also considered what we would produce — used (grey) water, from the sinks and shower, toilet waste, and emissions from burning fuel. We discussed how we could make our consumption or production more sustainable: we would try to buy food locally, as often as possible; we would minimize electricity with a solar panel; we could get water from a rain water collection and filtration system; and we could install a composting toilet to remove our need for chemicals. Our biggest challenge was how to offset our dependency on LPG and diesel. A motorhome is not exactly fuel-efficient. Typically, built using truck or cargo van chassis, motorhomes are often at or above the 3.5 metric ton weight limit set out for holders of a Class B driving license. This means fuel consumption is nothing like our previous Prius or most other smaller Class B vehicles. Being larger and heavier means more fuel consumed per hundred kilometres and more emissions. The fact most motorhomes in Europe are diesel makes the emissions even worse. We decided to look for a partner who could help us offset our fuel consumption and who shared our values about sustainability. We found a young Belgian company called Greenamity. Founded in 2014, Greenamity plants trees across the planet to neutralize carbon emissions, while also fostering local community development. Trees are impressive absorbers of carbon. Trees, and all plants, collect carbon dioxide (CO2) and break it down into the parts needed to survive. Through this process, carbon becomes part of the tree: a branch, a leaf, a root, etc. Some carbon is also transferred back into the soil. Each variety of tree absorbs a different amount of carbon during its expected lifetime, so offsetting fuel consumption is not as simple as just planting a new spruce tree. What we liked about Greenamity is their concern for more than just planting trees. Trees are planted in threatened areas and species are specifically chosen to help restore biodiversity. Fruit and crop trees are planted, as well, so local communities can create sustainable revenues from keeping the forest healthy. This creates a virtuous circle – helping the local communities and the environment. 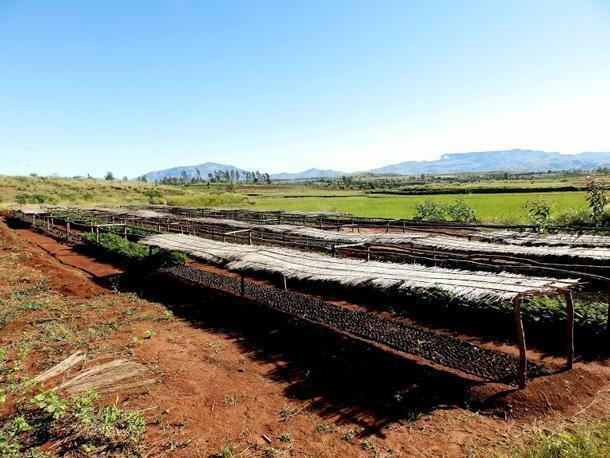 Greenamity’s first reforestation project, launched in 2014, is in one of the most deforested areas of Madagascar. This year, they launched a second project in Bolivia, certified by Plan Vivo, a Scotland-­based NGO which is among the world’s leaders in ecosystems and carbon certification. In Greenamity’s first 18 months, they’ve already planted 3407 trees, totaling over 31,000 square metres of new forest. 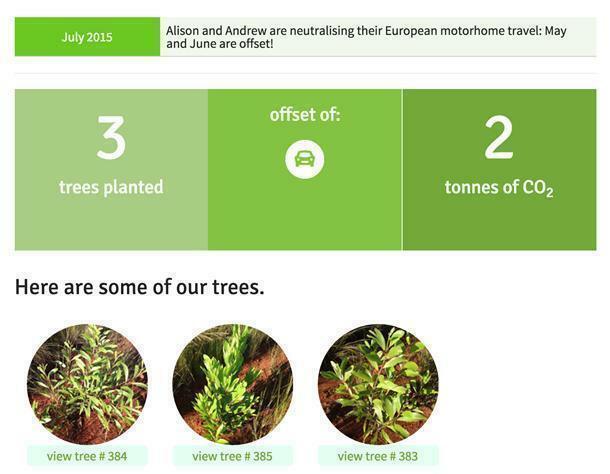 To help us offset our own fuel consumption, Greenamity will be planting trees on our behalf. You can check out our Greenamity profile page and we will also share our statistics on the sidebar of CheeseWeb. So far we’ve got three baby Acacia trees: Sven (#383), Gretchen (#384), and Henry (#385). The names are all Alison’s fault… she can’t have any living thing that doesn’t have a name! At the moment, Greenamity is working exclusively with businesses to help them attain a more carbon neutral footprint in the world. However, later this year, they plan to extend their offer to individuals, which is another reason we wanted to work with them. As individuals we want to be more than just consumers, we want to be able to give back as well. To have a simple way to calculate our carbon footprint and an affordable method to offset that footprint is a good thing. It makes us all aware of how we are impacting the planet around us. Not all our ideas about becoming more sustainable have been implemented. We are eating as locally as possible, enjoying many nights staying on farms and buying directly from the farmers. We also have a solar panel, which has meant we have plugged in only 15 out of the last 90 nights (although never because we actually needed power). We’ve even offset our flights back to Canada in August (via another method), again because we want our travel to be as sustainable as possible. The composting toilet and rain water collection systems are ideas for the future when time (and budget) allows. We are also considering other ways to reduce our use of water and to cut down on the amount of plastics we use. There is still lots to do! 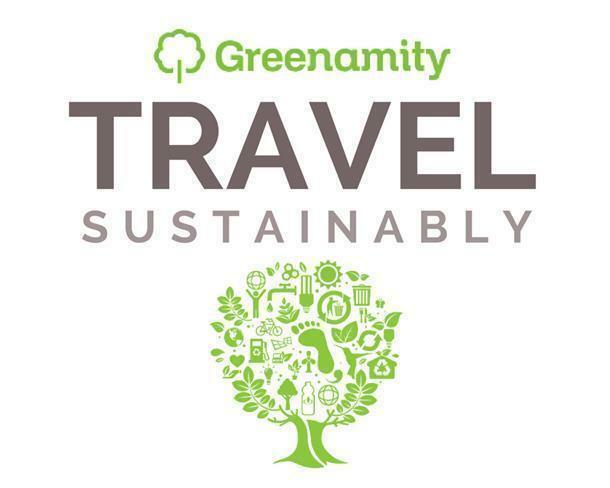 We are super excited to have found Greenamity and to have agreed on a plan which reduces the impact of our travel. Do you worry about your impact on the environment? How do you offset that impact? I’d love to know more about your solutions in the comments below.